Serving Toronto and the entire GTA, cottage country and surrounding areas. Welcome to Sun Out Window Film. 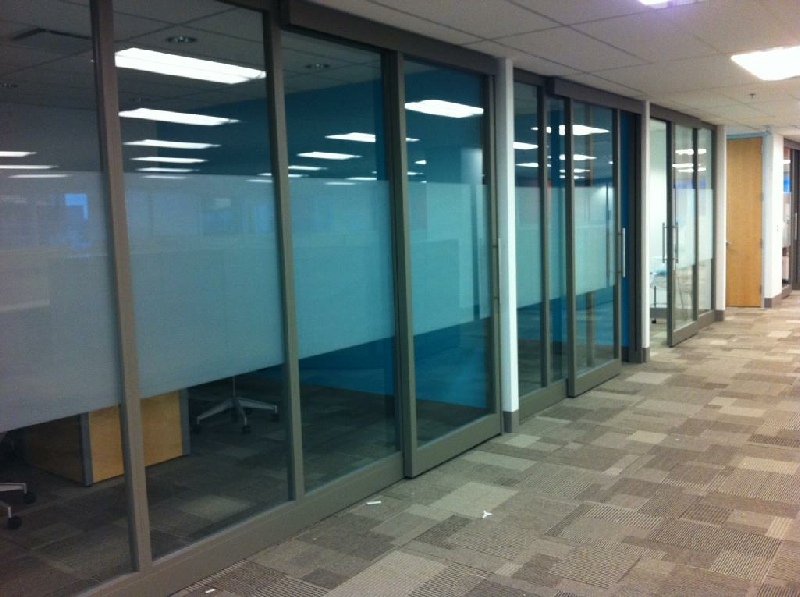 We supply and install window film - window tint, security film, UV protection film, frosted film, decorative & graphic films, and all other types of commercial and residential window films. With over 15 years experience in the business, we cater to those looking to improve the safety, efficiency, and appearance of their houses, condos, apartments, cottages, offices, buildings, and storefronts. 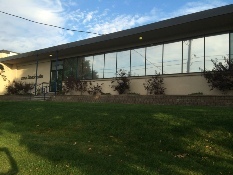 Window films have many benefits: Solar films help reduce heat gain/loss through windows, making a building more energy efficient. 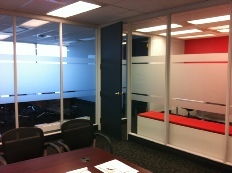 By reducing glare they can also make any space more comfortable to live or work in. 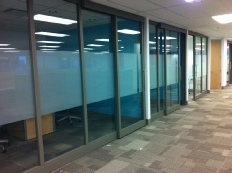 Frosted film and other decorative films can increase privacy, and provide a sleek, modern look to any space by transforming a clear window into something truly unique. Security film can make any window safer by creating an invisible barrier between dangerous shards of glass and a person, as well as deter thieves and prevent break and enters through vulnerable windows. Come visit our window film showroom to browse through our different films, to discuss your project, or to see samples of our work. 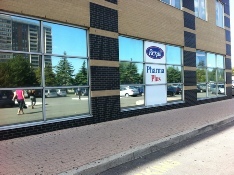 The Toronto Window Tint Experts!